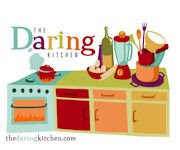 Daring Bakers history was made this month as our September challenge was vegan and/or gluten free for the first time. The Definitions: Vegan - no animal products of any kind ; Gluten Free - No wheat (including kamut and spelt), barley, rye, and triticale, as well as the use of gluten as a food additive in the form of a flavoring, stabilizing or thickening agent. I made mine vegan. To learn more about health benefits of going Vegan click here. Our hosts were the alternative bakers, Natalie from Gluten A Go Go, and co-host Shel, of Musings From the Fishbowl. These were soooo good - I made them twice - the first time maybe a little too hot and spicy. In fact Joanne, a dear friend of mine, said they were quite hot - in fact she was "ON FIRE!" which is unbelievable because she likes her food hot and spicy! Maybe I added too much cayenne. I did notice that a little spice goes a long way with these puppies, so take it easy, especially with the salt. In order to get them crispy, you need to roll out the dough paper thin and bake them until they are browned (not burnt-browned!). Just when you think you have rolled the dough out thin, you need to roll it thinner. 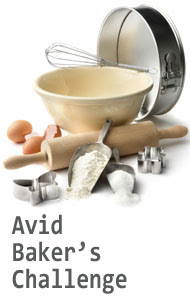 In fact, divide the dough into two and roll each portion out separately. If it becomes difficult, let it rest and cover it with plastic or a towel and walk away for a few minutes...patience... patience... patience. After I rolled out the dough, instead of spraying them with water, I sprayed the dough with Ontario ice wine, then sprinkled the spices. 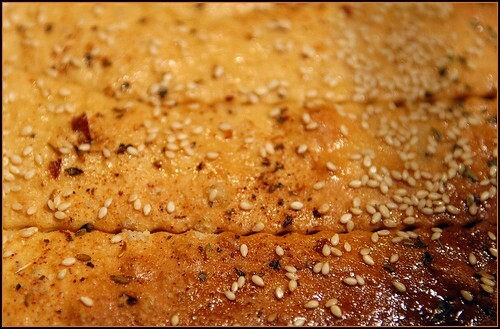 Another time I brushed maple syrup on the dough before sprinkling the spices. Both were great! You can bake them in two batches if you would like. The first time I made them, I baked the entire sheet uncut, then broke them into shards. The second time, I used a pizza cutter and cut odd shapes. You just need to make the cuts and after baking, they break apart easily. They are very attractive! 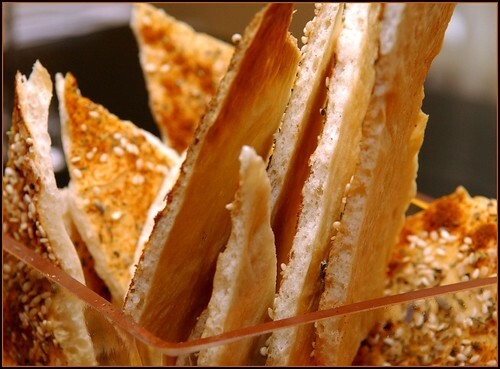 The lavash recipe originally came from Peter Reinhart's The Bread Baker's Apprentice , one of my favorite bread books. For the actual challenge recipe you can visit Shel’s blog and Natalie’s blog . 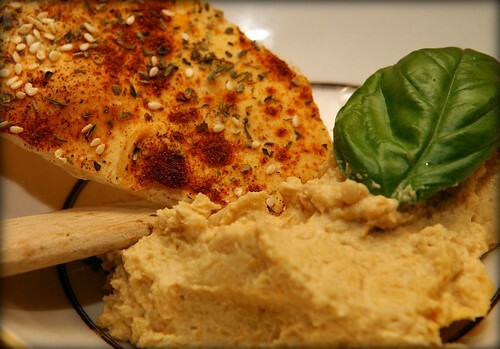 These really weren't difficult and can be made the morning of a dinner party -great with Dan's hummus - no, not my husband Dan, Meredith's new husband Dan and no - not my husband Dan's daughter Meredith, my friend Meredith...too complicated...but anyone who knows my husband Dan, knows that he wouldn't have a recipe for hummus. Dan S's very very good Hummus! and mix on high until smooth. If it's too thick, add a little water. They look lovely! I never got around to making hummus for mine. OK these look great! I really love the photo, too. Ice wine! Well! Creatively done. Great idea about dividing the dough in half! And yes it's true, just when you think you've had enough of rolling ... roll more! Great pics! Spicy crackers eh? sounds tasty. Wow - such a beautiful job on the challenge! And Ice Wine & Maple Syurp? Inspired!